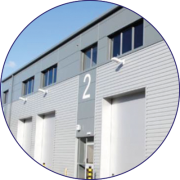 We are experts in design, installation and maintenance of electrical services throughout the industrial, commercial and retail sectors across the UK. Konect Electrical Services is one of the most recognisable and trusted commercial and industrial electrical contracting service companies throughout the UK. Established in 1991 Konect Electrical Services UK has provided electrical contracting services for brand companies such as Mercedes Benz, Krispy Kreme Doughnuts outlets Media City UK & Stratstone Porsche. Konect Electrical Services provides a complete electrical solution. It is our responsibility and our mission to ensure that your electrical installation is of a high standard and maintains continuous reliability and efficiency. Few other electrical contractors can match our experience and personal approach, enabling us to meet clients’ needs whilst maintaining a cost effective and quality driven service. We install the latest high quality electrical products so that you can receive high levels of energy efficiency, saving you money. We are well versed in working to deadlines, specifications and expectations. Whether your requirements are basic or high spec, local or national, we offer free site surveys and electrical advice. Konect Electrical Services provides a complete electrical solution. 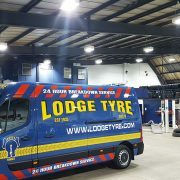 The UK’s leading provider of low energy technical solutions with LED Lighting and Controls. 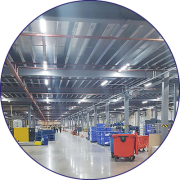 We offer bespoke lighting solutions specifically designed for Industrial, Commercial and Retail environments.